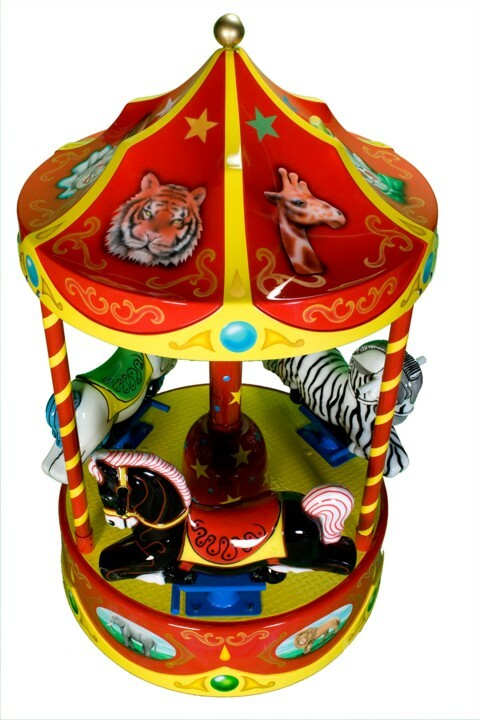 Product #: 8995-777 LUXURY CAROUSEL These over-the-top carousels make a great addition to any kid’s room, gameroom, or anywhere you want a stunning piece. We can custom paint your carousel with any theme you choose – fairy tale, underwater, Disney, nursery rhyme, or colors to match the color scheme of a particular room, etc. The kaleidoscope of color in a spinning carousel truly blurs the lines of form and function in any atrium, bedroom, patio, playroom, or whatever area. For all its cool charm and beautiful painting, though, our kiddie carousels never lose sight of their true function: an operating amusement ride in miniature. The beauty and craftsmanship of our kiddie carousels are inspired by the carousels that have thrilled for generations by manufacturers like . 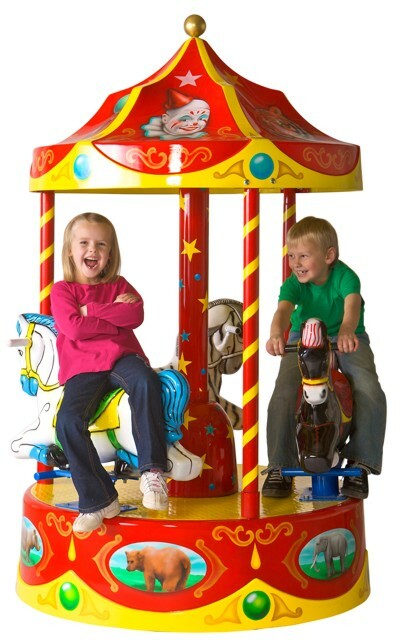 Our carousels bring all the fun of a grand carousel down to a size that fits in a smaller space.